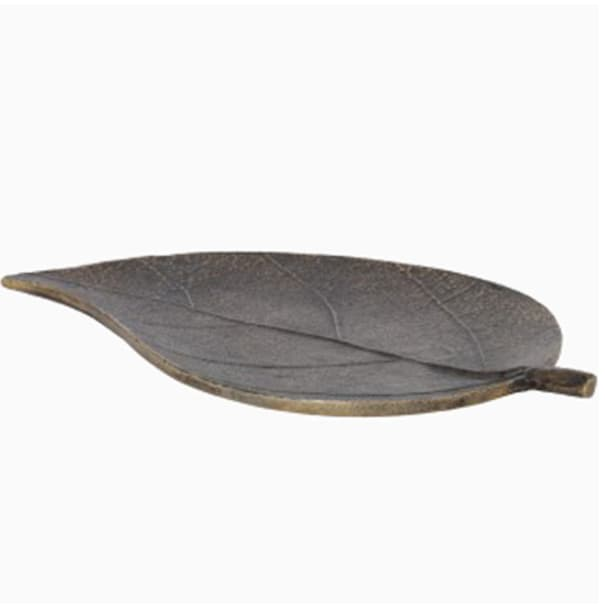 Cast metal leaf in a weathered dark gold bronze finish with incredible leaf vein detailing. Perfect for keys, jewelry and all those little items you need to keep to hand. After Noah in London, United Kingdom.